Input text: An archipelago is -4.5 feet above a 400 foot wide lake. 1st camel is -25 feet in front of and -86 feet left of the archipelago. it is 2 feet above the ground. it faces right. 2nd camel is -105 feet left of and -110 feet in front of the archipelago. it is 6 feet above the ground. it faces northeast. a orange point light is on the 2nd camel. a cobalt blue point light is behind the 1st camel. Fantastic @jarble and @nanook. 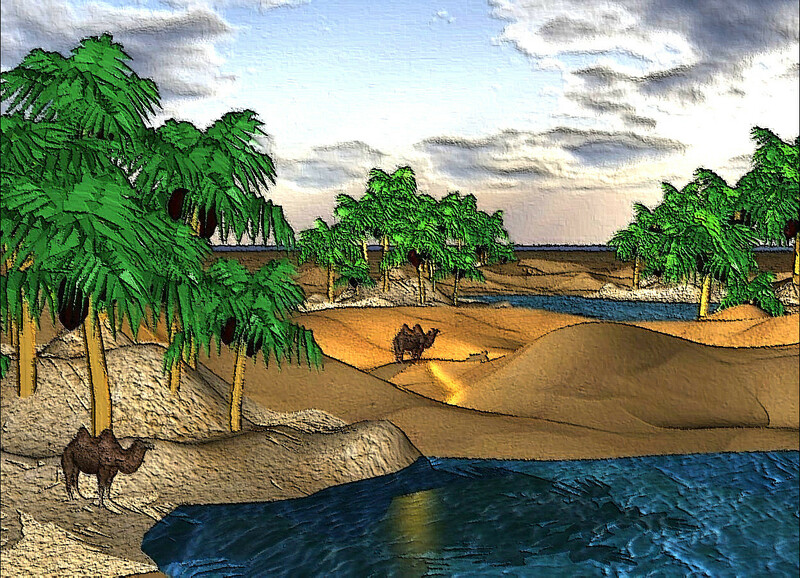 Wordseye background worthy!